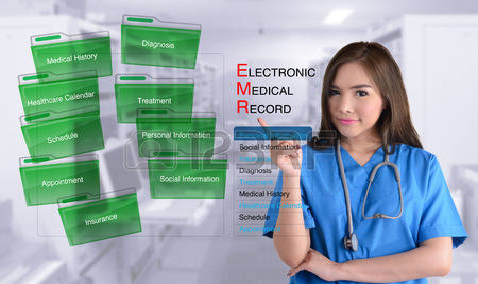 A scheme to set up an ‘Integrated Health Information Platform (IHIP) to create the Electronic Health Records (EHRs) of citizens and to be made available nationwide online for medical history, with the help of Health Information Exchange(s), has been approved and is being implemented. MoHFW has notified Electronic Health Record (EHR) Standards Version 2016 for India in December 2016 (whilst the earlier version of EHR Standards was notified in September 2013) with the intent to bring standardisation and homogeneity, inter-operability in capture, storage, transmission, use etc. of healthcare information across various health IT systems. State/UTs have been advised and are already working on computerisation and implementation of hospital information system (for creation electronic records) in their hospitals/health facility with support under National Health Mission. With the advent of the envisaged system of EHRs of citizens in an inter-operable manner pan-nation, online availability and accessibility would be ensured facilitating continuity of care, better affordability, better health outcome and better decision support system. This is expected to help in reducing expenditure on avoidable repetitive and similar diagnostic tests.